Our greatest desire is to help you pursue the way of Jesus for the renewal of the church, and our world. We create spaces where people can come, experience and apply the word of God, and pray in authentic community that will leave us changed by the power of his love. We share life and encourage one another as we practice the way of Jesus. Our weekly Tuesday Group (resuming 1/15), and various community interest Groups around the city – are key to this, and enable meaningful relationships while practicing the way of Jesus together. Looking for a place to connect with other believers during the week, share dinner and grow in spiritual formation? We gather in a medium sized group weekly in Chelsea to eat together, and then break into small groups where the word is applied from the previous Sunday teaching, prayer is practiced and a safe place for vulnerability is cultivated. No RSVP needed. Simply show up any Tuesday. Want more info? Email below. Seasonal small groups, that form and unite around missions, and shared interests. 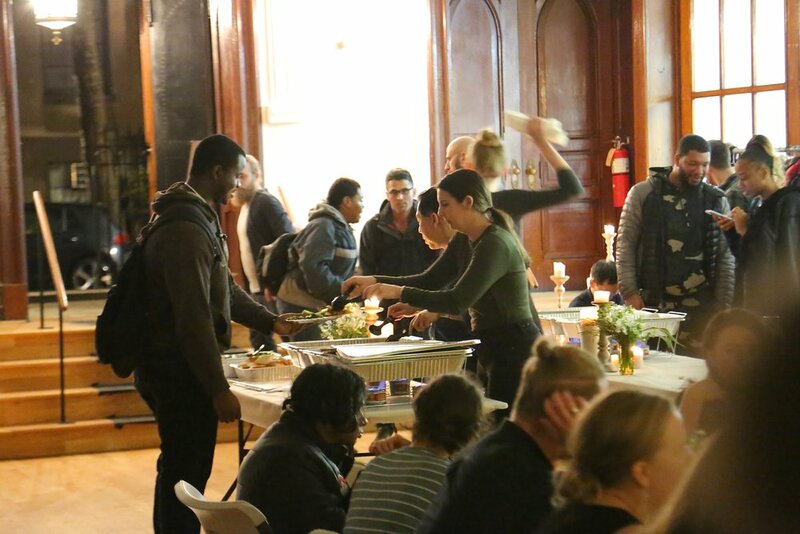 These groups are self-led by members of the congregation, that meet weekly/monthly across the city to form connection and belonging. Group description: Being a disciple of Jesus means we are abiding with Him, becoming like Him and doing what He did. In our missional group we will be practicing in community the spiritual disciplines that create maturity and integrity in our personal walks with Christ as well as being light and salt to our city through monthly service. I will send out the curriculum so the group can listen to the sermons that will prep them for our first week. Fill the form out below or email rachel.ariel.ingram@gmail.com directly. Group description: Join men who commit to seek God through vulnerable relationships in rhythms of regular gathering, prayer and the word of God. Also fun. Lots of laughing.